At this time of year, it’s wonderful to give and receive homemade food as gifts. I love to swap and give away my preserved jams and pickles, and for a few select friends and family, I will give them some of these holiday-themed and seasonal condiments. These are both very easy to make and safe to can in a water bath – no special equipment needed! (Note: this recipe is best with storebought and unflavored pectin, because homemade pectin, like from apples or lemons, add that fruit’s flavor to the jelly.) Boil the mint infusion and sugar for about 5 minutes. When the mixture is at a rolling boil (it doesn’t stop boiling when you stir it) add the food coloring, lemon juice and pectin. Keep boiling and stir constantly for one minute, and add a pat of butter to reduce the foam. 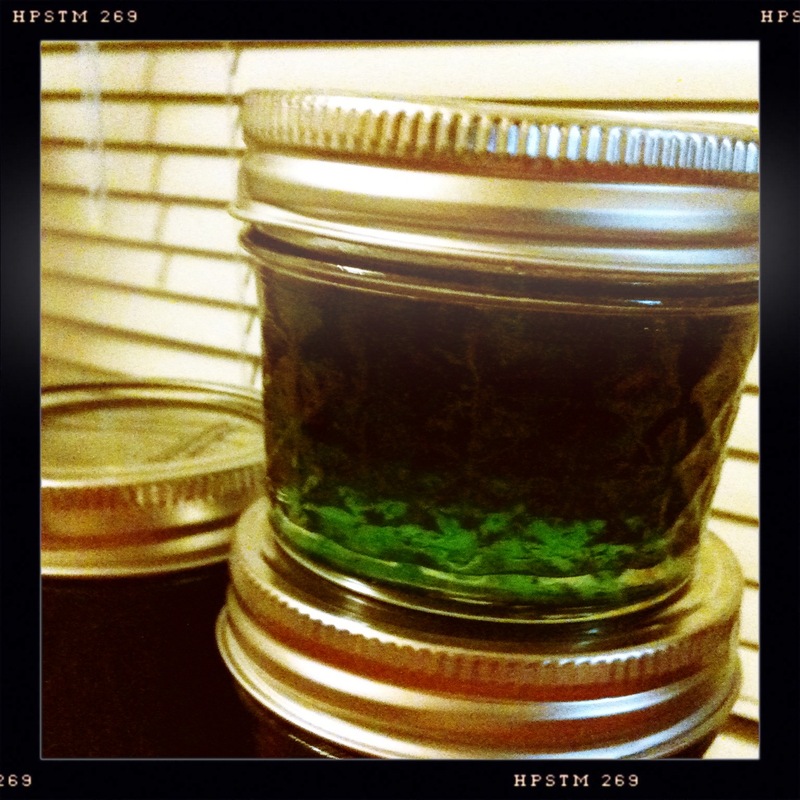 Ladle into sterilized jars and boil for 10 minutes in a hot water bath. Simmer the fruit and water for about 20 minutes, and add the cinnamon. Add walnuts, too, if you like, and simmer for about 5 more minutes. Ladle immediately into hot, sterilized jars and process in a hot water bath for about 10 minutes. 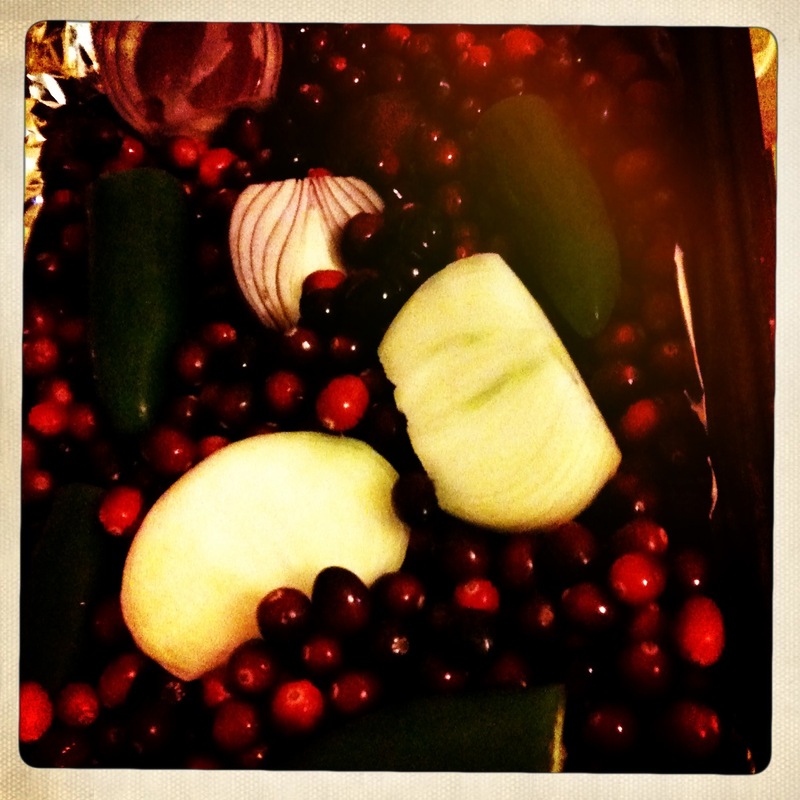 Bonus condiment — Hot Cranberry Salsa! 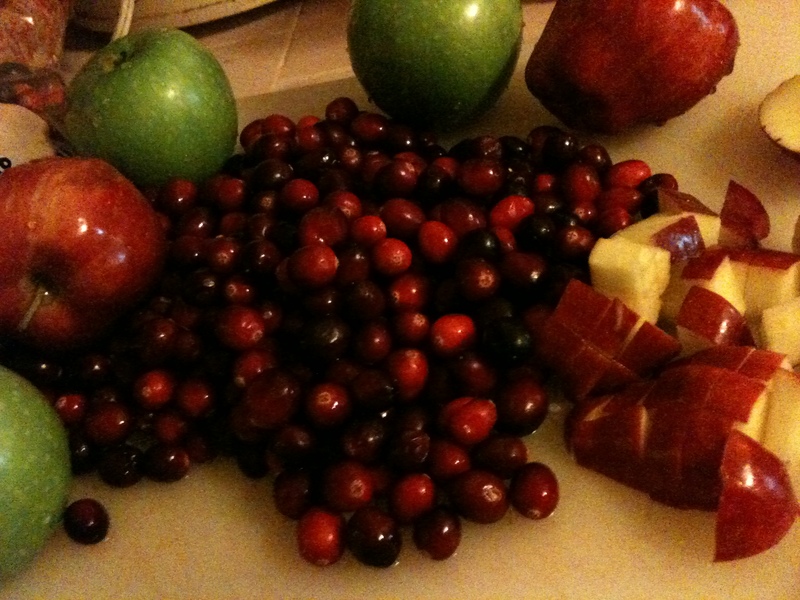 Got extra cranberries? Put them in a baking pan with chunks of onion, garlic gloves, and whole jalapenos (remove the stems), and sprinkle sugar on top of everything. This entry was posted in canning, cooking, food, holidays, preserving, Uncategorized and tagged cranberry apple relish, cranberry salsa, holiday condiments, mint jelly, spicy fruity salsa. Bookmark the permalink.